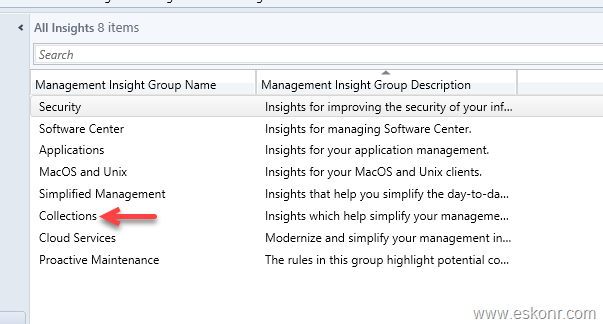 Microsoft released first Technical preview for Configuration Manager in this year 2019 with some exciting features Client health dashboard, management insights rules for collections,DP maintenance mode,search device using MAC address and many others. Once you install baseline version, you will see 1901 in the console . Installation of Technical previews from the console is simple and very straight forward . 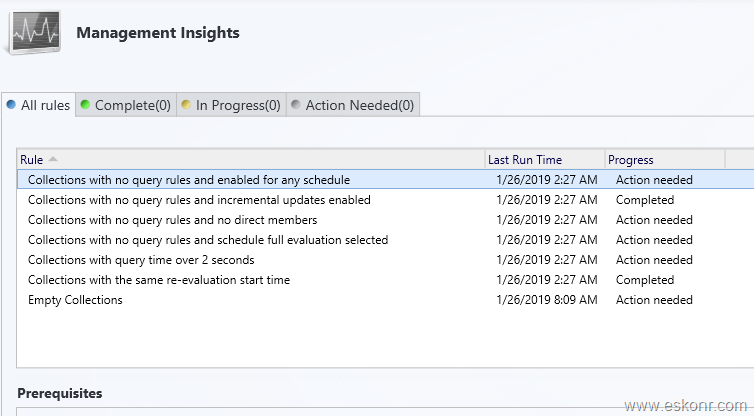 Some of the features that I am interested are client health dashboard ,insight for collection rules ,search device using MAC Address ,DP maintenance ,view recently connected consoles, monitoring phase deployment,create preview lab in azure. Now Microsoft added way to identify the collections with different criteria listed below and take necessary action. you can use these insights to simplify management and improve performance. Collections with no query rules and no direct members: To simplify the list of collections in your hierarchy, delete these collections. Collections with the same re-evaluation start time: These collections have the same re-evaluation time as other collections. Modify the re-evaluation time so they don't conflict. 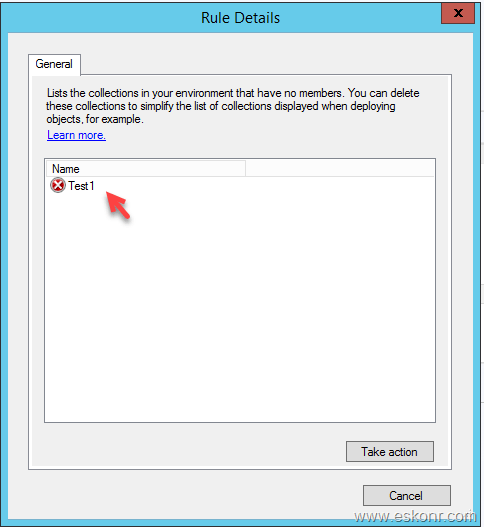 Collections with query time over two seconds: Review the query rules for this collection. Consider modifying or deleting the collection. Double click on collection, you will see list of rules with progress status. Progress status will tell you whether action needed or not . For each rule that it evaluates ,it will tell you if there is any action needed by admin or not . From above, some rules says ,action needed. To know what collections ,just double click on the rule to see . I double click on Empty collections to see what collections are they. I have a collection that has empty members . I can take action on this . Once you are done, you can re-evaluate the rule by simply right click and re-evaluate . Like there ,there are many other features added to preview version 1901.